« Middlesex philosophy closure. Part of a wider struggle. I hope my friends will forgive me for this post—which is meant as a constructive rejoinder to some of the political ideas I have encountered around continental philosophy circles of late. In line with my dreadfully old fashioned dialectical thinking, my sympathies have always been with Socrates type figures and the restless interrogation of prevailing wisdom. This way of approaching things doesn’t lend itself to being readily accepted as part of a clique, but with the manifest dreadfulness of the situation of leftwing politics today I excuse myself that all I seek is clarity. In the tireless quest to lose friends and alienate everyone, what else can one do? The matter at hand concerns the crisis of politics and of political ideas. All those sensitive to the current situation of radical left politics—even politics per se—cannot fail to be struck with the sense that we are at an impasse. Something is not working. Politics seems to be struck in a permanent stasis following the Cold War; some might even say since the 1970s; others as far back as post-1968. Unions appears to have reached a dead end; and leftwing politics seems more depleted of hope than ever before. There seems to be no light at the end of the tunnel. The good news, however, is that if you feel this sense of despair and frustration, it at least means you appreciate the full scale of the problem. There is certainly a capitalist Empire, but is there really a multitude? The question is how to respond? The fact that something is not working is an important insight; but in itself is rather free of determinate content for working out what would be the right approach. Numerous avenues have been proposed. Within the broadly continental tradition, we have had Laclauian populism. We have had Derridean respect for the Otherness of Other. And, most recently, we have had Hardt and Negri’s ‘Empire’, ‘Multitude’ and ‘Commonwealth.’ Enough has been said about all of these. Their failures to think an alternative leftism are already born out by the collapse of whatever real-world political correlates they once could have claimed. Yet ideational production has not ceased. Arguably, we are on the cusp of a new generation of thinkers. What has been dubbed post-continental philosophy is associated with the return of metaphysics within the continental tradition. Also influenced by the the speculative realism ‘movement’ this strand of thought is distinguished by a move away from the philosophy of the subject, towards interest in objects and the thematics of materialism. Some of the names that are most popular in this field include Bruno Latour, Graham Harman, Ray Brassier, Levi Bryant, Paul Churchland, and, more traditionally, Gilles Deleuze. What is most interesting in this turn away from the subject is the convergence with analytic philosophical topics—the continental and analytic traditions have for a long time been contemptous rivals of one another—and, in turn, this has led to a certain re-continentalisation in favour of North American thinkers. Whilst one’s nationality is not generally of any concern to me, there are a number of implications here that any honest assesment of the political theory spun out of this new wave must take into consideration. Firstly, this is the first generation of new ‘continental thinkers’ to have had no direct experience with radical politics. 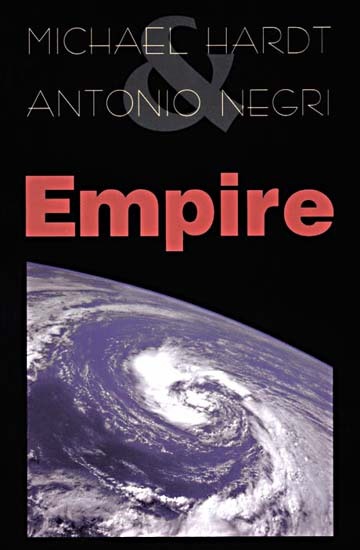 Whatever we might think of Antonio Negri, Badiou, et. al, they were involved in seriously radical politics. Some of the Italian autonomist organizations of the 1970s had tens of thousands of members. Badiou was a raging Maoist, who never gave up on the spirit of 1968. Secondly, other than perhaps the Black Panthers the United States has never had any really influential radical politics. On the left, very little indeed. U.S. leftism is qualitatively different to that in Europe insofar as no autonomous alternative to Democrat-style liberalism with a socially paternalistic bent seems to be prevalent. The U.S. left seems to concern itself above all else with cheerleading Latin American movements and involving itself in environmentalism. Which is to say, the dichotomy of ‘reform or revolution’ has always seemed a bit of an intellectual matter in a country in which revolution has never seemed a credible possibility. I do not want to overemphasize this aspect; still it needs to be kept at the back of the mind in the following discussion. To understand this trendy new wave of thought, the rest of this post progresses through three sections, which deal with ‘folk politics’ first, followed by ‘object oriented ontology’ and, finally, ‘micro-revolutions’. These broadly go from what I will present as the negation of the leftist theory of action, to a negation of a leftist ontology, to the last category, acting as a kind of holding pen for alternative notions of ‘radical’ change. I will seek to demonstrate in this two part blog post that whilst residues of leftism are carried across into all of these theories—the semantics of ‘revolution’ for instance—they are stripped of all meaningful content, and when properly ‘cashed out’ in terms of a guide for political action add up to little more than a centrist, liberal agenda given a gloss of radicalism imported from the philosophical world. To understand ‘folk politics’ one has to understand ‘folk psychology’. Paul Churchland’s endorsement of a hard eliminative materialism is meant to replace the traditional vocabulary that psychology supposedly inherited from ‘folk wisdom’ with a new lexicon culled from neuroscientific studies. The upshot of this is that such notions as desire and drive should be eliminated from the vocabulary of psychological discourse to be replaced by a new terms. And yet, there is also potentially more at stake than a new vocabulary to learn. If Thomas Kuhn was right that every scientific revolution entails a loss alongside a gain, then what is possibly lost in eliminative materialism is any notion of human, subjective freedom; the will to change. In contrast to thinkers such as Slavoj Zizek (who has sought in his fusion of Lacan and Hegel to give depth to the ‘passions’ of the subject Hegel left so famously underdeveloped), those influenced by theories of eliminative materialism are likely to reject any voluntaristic notion of historic or political change driven by the will of certain individuals or groups; possibly to the point of repudiating notions of human free will altogether. The idea that revolution has to occur ‘all at once’ is a residue of folk politics – a notion of politics derived from our intuitive relation to the world, one where change has to be readily apparent in order for it to register. The sort of work I’m proposing is less intuitive, less based on immediate reactions, and less short-sighted. Obviously the target here is the broadly Marxist notion that revolutions occur in a compressed space of time; although we could track this tradition back to the events of the French revolution too if we wanted. The problem with this negation is the idea that revolution is based on “our intuitive relation to the world.” Nothing could be further from the truth. For even if the term ‘revolution’ has been largely degraded within advertising and the political sophistry of mainstream liberal parties, there is nothing intuitive to derive the proper sense of the words from. We rarely, if ever, encounter revolutions in daily life; sometimes, furthermore, revolutions perceived in retrospect were not visible to people present at the time. Empirically we can see that revolutions do occur in a very compressed state of time, and although the groundwork might have been prepared for decades beforehand, the political crisis with engenders the political emergence and efficacy of the new ideas and social forces is only brought about by the collapse of the systemic constraints holding them back. This political procedure necessarily occurs in a compressed time scale as a seismic shift takes place. And to introduce ‘folk psychological’ theories into the equation, many of those who have taken part in revolutions note that they experienced a feeling which cannot be appreciated by those not there: A collective action leading to a momentary intensification of life, or a feeling of collective delirium. All these provide indicators that the opportunities to direct what those changes will actually be occur within a relatively short and intense temporality. 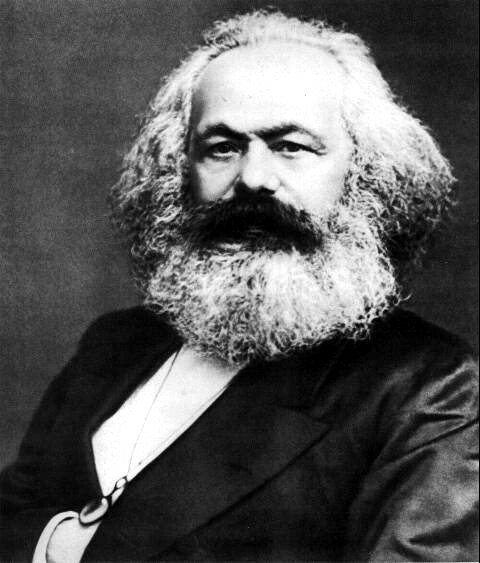 Karl Marx---were his ideas about revolutionary change based on 'intuitive', 'short-sighted' and 'folk psychological' theories? Or rather on a complex, economic, political and social theory of capitalism? One might counter this by saying that this notion of revolution is setting the bar too high. In our current historical period that might be true; although in itself this does not undermine the reform vs. revolution dichotomy as it relates to elimination of wage labour. If, on the other hand, the target of your ‘revolution’ does not relate to eliminating wage labour, then it is true that various reforms might suffice. It is noteworthy, though, that in a period in which class consciousness is extremely weak, and those social forces related to it mostly dormant, there is a spill over into even non-revolutionary political matters. If the Marxist thesis is correct—as it surely is—that production’s role in the reproduction of the social order is primary, then a shift to cultural matters, or networking, or whatever, in the absence of forces directly structured by, and in a feedback loop with, the productive relations, will be weak and superficial. Change of any sort in lieu of dialectical class mechanisms becomes difficult indeed. There is nothing much new, or indeed ‘radical’ about Stiglitz’s position though. His advocacy of Keynesian economics as a way to ‘save capitalism’ in the London Review of Books is in line with a social democratic tradition—one very much internalised within the Labour and Liberal Democrat parties. Ultimately, shattering the shibboleths of the left comes to look very much simply like a liberal, social democratic reformist tradition rather than any radical new modality of politics. In the end it comes down to elite thinkers tinkering with capitalism from the ivory towers of great financial institutions, thinktanks and academia; and has very little to do with a properly socialist program involving mass working class empowerment. The massification of the political subject is not some extraneous, romantic idol that needs to be jettisoned, but integral to the reversal of the objectification of the working class subject. The mass subject is, that is, the very end of radical politics; without it, you have nothing but well meaning reformation of the human object of your politics. I think I have said enough to repudiate the anti-Marxist notions intrinsic to the jargon of ‘folk politics’. In the next section, this critique will be expanded to the entire edifice of what has become known ‘object oriented ontology.’ I will focus less on Bruno Latour and Graham Harman—I know the latter’s work well; and the former only through proxy via the latter—but instead on Jane Bennett’s new book ‘Vibrant Matter‘ which seeks to cash out these insights with a fully developed political theory. Here, in Bennett’s work, all aspiration to even present an alternative leftism falls by the wayside. Hi, I’ve just scanned through this – looks just up my street…. will read properly – glad I found you on facebook! Haha, glad to see you acting as the modern-day Socrates! I don’t really have time to say a whole lot, but let me just make a few points and I’ll try to respond to anything else you might have to add. First, I think any reference to ‘free will’ has a massive amount of questions that it begs, and I haven’t seen any convincing arguments for it. Zizek’s own vision of free will is to assume it! As Johnston put it at the Dundee conference, Zizek’s ontology is a matter of assuming free will and then reverse-engineering the ontology proper to it. For an eliminativist, this is just begging the question. A mere appeal to commonsense is precisely what the critiques of folk psychology and folk politics are trying to get past. Phenomenology is not the ultimate foundation of our knowledge and we (arguably) ignore this at our own peril. Second, I think Marx in general is very much in line with a lot of what I’d argue for. There’s the importance of nonhuman actors – commodities, new machines, new demarcations of land, alongside new social relations, new collective actors, etc. 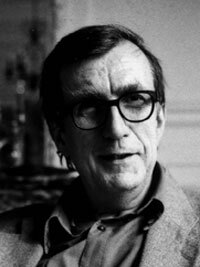 – this is the type of thing that Latour talks about all the time too. But Marx also moves beyond any folk politics as well, uncovering the structural and hidden determinants of our intuitive sense of politics. He shows precisely why the naive folk reaction to attack a particular person misses the larger point that there is a structure behind that person. It’s not just about replacing immoral bankers with moral ones! (I know you agree with that.) So I think Marx does a lot of things right already; though a proper justification of that claim would entail getting into interpretative debates about what Marx meant, which always seemed pointless to me. I’d rather just use Marx for the present than try and argue that the keys to everything are already contained in his work. My third point about reform versus revolution – I don’t necessarily agree that ending wage labour is the proper goal or even something that would revolutionize a social system. But that’s secondary to my main point, which is that the example you cite from me – about the change in technical measures of GDP – could actually have major consequences. Moreover, it’s not limited to the effects determined by Stiglitz (regardless of what you think of his politics). It’s a simple point about unintended consequences that go beyond his intentions, and a simple point about network structure. 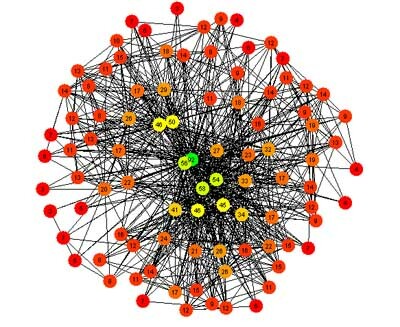 The GDP measure ties together a massive amount of different social, political and economic factors, and changing it will change that entire web of connections. Is this reform or revolution? If you define revolution as the abolishment of wage labor, it’s reform. But then you also set up anything short of that goal as mere window-dressing. I don’t think anyone would want to agree to that, which is why I think a better question is about aiming at points where large-scale changes can be made, regardless of whether they abolish wage labor, or abolish private property, or anything else like this. It’s a matter of degree, between reform and revolution, and not some stark difference. Briefly: I agree that Marx is an example of a critic of what might be termed “folk politics”- but the point is that folk politics, for me at least, is a moving target- since if we look at the strategic component of politics (aka praxis) then we find that what was once new and critical becomes later slightly stale and less useful. Why is this? Because politics exists in the play between opposing forces. Folk politics is the avant garde of political strategy which falls, in time to become a new kind of political “common sense”. It also loses its effectiveness because, from the perspective of levers against hegemonic assymetrical accumulations of power, there are constantly movements against these strategies, ways of concealing what “the political” is, and neutralising old forms of organisation, coordination, and action. So what needs distinguishing is the fact that what is political “common sense” obviously shifts and changes as new strategies develop and accrue, along with new ways of envisioning “the political”. My claim is that “folk politics” exists as a set of theories (different ones) which are good theories, at least at the time when they were formularised- hence the critique of folk politics is more urgent than that against folk psychology, since folk psychology works on a day-to-day level, it simply might be false in terms of emerging neuroscience. 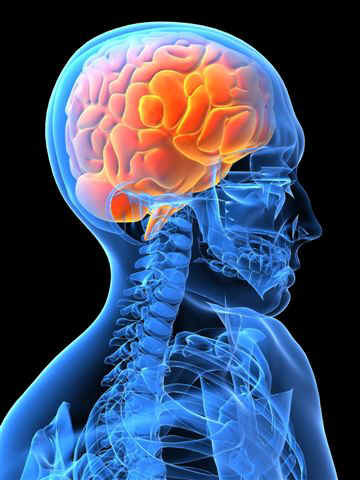 But this falsehood will not necessarily lead to the abandonment of FP in everyday life, as it fits its purpose (predicting behaviour of others to a degree of accuracy appropriate to everyday existence) even if its concepts do not precisely index what actually occurs in the brain or the mind. Folk politics, in a number of contemporary articulations (which are not simply revolutionary, though this needs further explanation- it really isn’t simply a synonym for old skool Marxism, though it certainly includes elements of revolutionary politics, along with many other political forms whose strategic utility has come to become eroded) is in fact in a worse position! Since not only does it not index the reality of political change (ie- what actually causes it) but on an everyday level, its failure to do so has practical implications which far exceed those of FP. Along side state-capture revolution I would place representative electoral democracy, as similarly being a now outmoded form of political activity which is no longer able to do what it claims for itself. On massification- you should read Sartre’s Critique of Dialectical Reason – since it nails most precisely (without admitting to it) the flaws of a strategy of global massification. The problem, and this is why this is FP strategy now, is that the greater the scales of space and time across which this Group-in fusion or mass subject is expected to hold together in solidarity, the harder it is to do so. When enemies are global and systemic, as capitalistic systems, structures, and process are, then it makes sense that absolute crude massification is never going to be successful- and that a subtler approach is required, quite apart from a throaty upsurge of hearty voluntaristic affect. Between your massification and Nick’s localised resistance there needs to be a mediator, a communication system which enables the globalised self-coordination of localised groups. I wouldn’t dream of claiming to be the modern day Socrates; I don’t deserve it; we all know who rightly deserves that title! It seems that both of you want to claim Marx as a critic of ‘folk politics’, but when you delineate the actual content of an anti-folk political position you move very far from the Marxist position—or at least Nick does. Eliminating wage labour and the reform or revolution dichotomy is in Marx, I agree, based not on any sort of folk wisdom; rather, it has a conceptual immanence based on his analysis of capitalism and history. I’m not sure, though, how you would square his concepts with Latour, Deleuze, et al. The point I would try to make is that you can translate the trendy new philosophies based around ANT, Negrian multitude, etc., into the conceptual parameters of Marxism with very little loss, even if they come out the worse through such translation. Although what I think you gain with things like ANT are the negation of totality, and a retreat to a kind of mysticism of the object—a kind of reversal from Hegelian understanding to sense certainty. Furthermore, I would claim (and will claim, in the next section of this blog post) that this obsession with respecting the dignity and actorness of objects in ANT, OOO, etc., is not an extension of Marxism but conditioned by the near defeat of Marxism. It is more like commodity fetishism extended to encompass all things than the reversal of commodity fetishism to realise humankind’s emancipatory potential to take control of its world. I think Alex’s notion of folk politics sounds pertinent here, but as it is it remains at a very general level. It seems to just be calling for more strategic and historic sensitivity; a call I’m not sure many would—consciously—reject or dismiss.